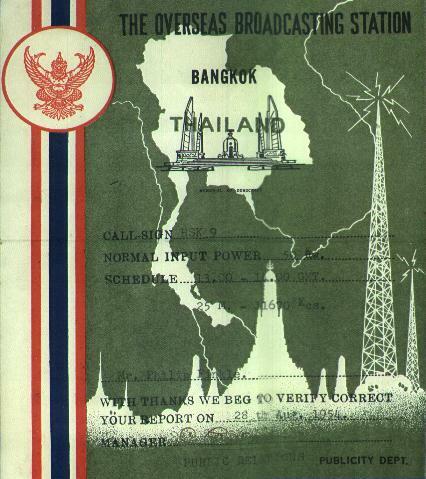 QSL card from the Overseas Broadcasting Station of Thailand in Bangkok for a report of 28 August 1954 on 11.670 MHz. Power was 50,000 watts. Interestingly, this station used to have a North American service in the evening west coast USA time that was mostly inaudible! The best chance to log this station was in the early morning.